Resiliency is a characteristic of the 2015-2016 Philadelphia 76ers (6-38) that has rarely wavered. Wednesday night in Orlando was no different. Pushing past a choppy start in the back-end of their two-game road trip, the Sixers finishes strong, delivering a 96-87 victory over the Magic (20-21). The win marked the Sixers’ second in their last four games. Orlando, meanwhile, fell for the eighth time in nine outings. During the respective time they’ve spent with the Sixers this season, Jahlil Okafor and Ish Smith have proven to be steady contributors. Their box lines were again stellar at Amway Center. Okafor both muscled and finessed his way to a 20-point performance, his third straight, and 18th overall this campaign. Smith was his typical scoring and facilitating self, tallying 13 points and 11 assists. The double-double was his second in a row, fifth with the Sixers, and 10th overall this year. A major x-factor that favored the Sixers, however, was their bench. With the Sixers facing a 10-point deficit at the four-minute mark of the first quarter, Hollis Thompson and Isaiah Canaan kick-started a key 11-0 surge that pushed the Sixers ahead. 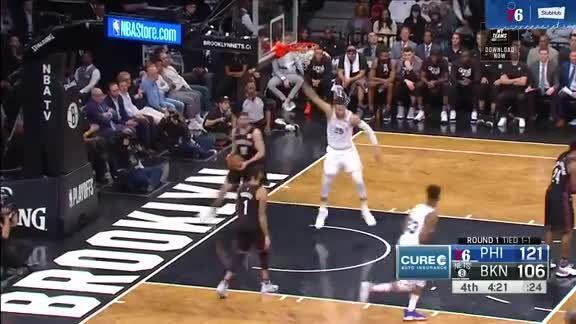 Later, in the third period, with the score tied, Robert Covington connected on back-to-back triples, a spurt that Thompson extended with consecutive jumpers of his own. When the Magic drew within four points with five minutes to go in the fourth quarter, Canaan nailed a three-pointer, and, moments later, a bank-shot to book end a decisive 7-0 spurt that secured the Sixers’ triumph. In all, the Sixers’ reserve corps accounted for 51 of the team’s points. Thompson netted 17 points, Isaiah Canaan scored 15 points, and Jerami Grant contributed 12 points, six rebounds, and five blocked shots. Orlando was led by Elfrid Payton and Nik Vucevic. Payton produced a 21-point, 10-assist double-double. Vucevic collected 15 points - only three of which came after halftime - and corralled 11 rebounds. "We felt greedy, in that we felt like we let the Chicago game [Thursday] pass us by. 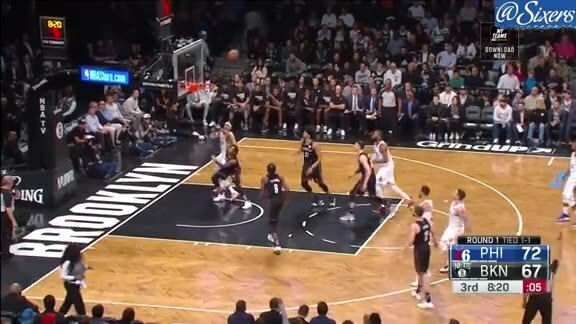 Carmelo [Anthony] hit a three to take it into overtime in Madison Square Garden [Monday]. We ended up losing that game. We felt lke playing good basketball. We feel like our defense is carrying us. Like Last year, we stuck to something. We walk this down, this middle third down to the All-Star break. We'll be proud to have navigated through all the stuff we did earlier. 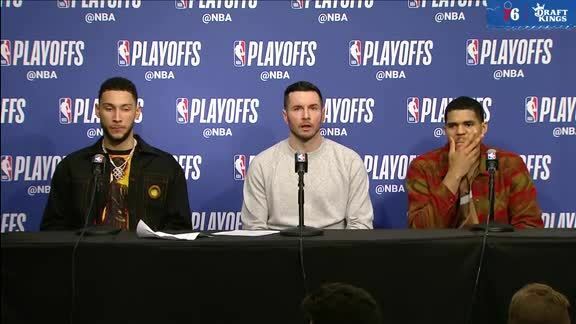 To have the group be as spirited, committed, and defensively oriented as they are - feel like it's just team stuff that most stands out to me now." In his well-traveled professional career, Ish Smith has played for nine organizations, a total that accounts for nearly a third of the 30-team NBA. The point guard’s longest tenure came with Phoenix, when he suited up in 70 games for the Suns during the 2013-2014 campaign. His next-longest stint for a single squad came with Orlando. He appeared in 56 tilts for the Magic between 2011 and 2013. The next summer, a franchise-altering four-team trade involving the Magic, Los Angeles Lakers, Denver Nuggets, and Sixers took place. One of the driving forces behind the deal was Howard’s desire to leave Orlando in favor of Los Angeles. Smith has played on different types of teams since breaking into the NBA as an undrafted rookie free agent with the Houston Rockets in 2010. He’s been a member of playoff rosters, and rosters that have been in the process of retooling as well. His mindset has stayed the same, regardless of circumstances. Despite battling some foul trouble, Smith fared well against the fourth team that surfaced on his resume, racking up a double-double. Nik Stauskas’ left shoulder injury kept him out of a third straight game. During the Sixers’ practice on Tuesday at the Barnett Park Recreation Center, Stauskas went through four-on-four drills for the first time since initially getting hurt in the Sixers’ January 14th overtime loss to the Chicago Bulls. On Wednesday, though, he still didn’t feel ready for live action. Stauskas is averaging 7.2 points and 2.4 rebounds per game this season. He’s hit 55 three-pointers as well. The Sixers host the Boston Celtics on Saturday at The Center. Nik Stauskas’ left shoulder pain wasn’t the only injury the Sixers had to combat. First, small forward JaKarr Sampson, making his fourth straight start, didn’t return after suffering a left hip pointer problem in the first quarter. Nerlens Noel was then out for the entire second half as a result of headaches and blurred vision. Subsequently, Brett Brown was left with only 10 active bodies for the final 24 minutes of regulation, with Elton Brand also inactive. 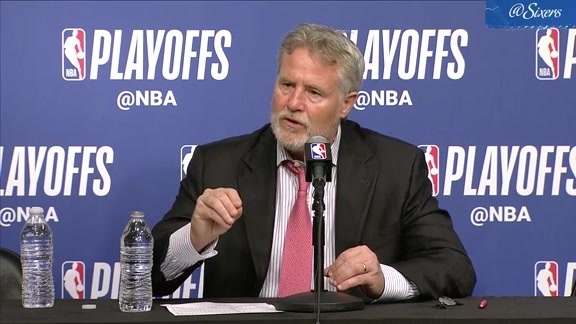 During his post-game media address, Brown praised the Sixers for “absorbing” all the injury losses. The 76ers enter into another home-heavy portion of their schedule. They’ll play seven out of their next nine games at The Center, beginning on Saturday with a match-up against the Boston Celtics (23-22). The Atlantic Division opponents faced each other twice at TD Garden in the opening month of the season, with Boston taking both contests, including the October 28th tilt that marked the season openers for the teams. The Celtics are looking to build upon a recent three-game winning streak, which came to an end on Monday with 118-113 overtime road loss to the Dallas Mavericks. Before to this spurt, Boston had dropped six out of seven. A day before his C’s squared off with Dallas, third-year head coach Brad Stevens was in Indianapolis, where he spent 12 seasons as an assistant and head coach for Butler. He returned to the area to give the eulogy for Andrew Smith, a former player of Stevens who passed away on January 12th two years after being diagnosed with cancer. Spunky Celtics shooting guard Isaiah Thomas is making a strong case for the first All-Star Game bid of his five-year career. He ranks eighth in the NBA in total points, and is averaging 21.8 points per game.